Pontiff Sulyvahn discovered Irithyll. He was directly connected to Aldrich and was the one that imprisoned Gwyndolin to be devoured by Aldrich. beasts. These rings were only granted to those knights who were dispatched to foreign lands. A statue in a courtyard on the High Wall of Lothric bears some clues that suggest it may represent Sulyvahn, giving us a clear look at his face. 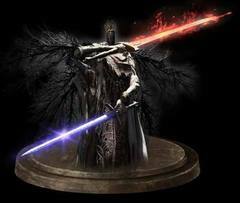 The figure is depicted wielding what appears to be the Profaned Greatsword, and wears bracelets almost identical to the ones worn by Sulyvahn in his boss fight. It has been pointed out that the statue also appears to wear Prince Lothric's unique robe. From the Reddit post found here. 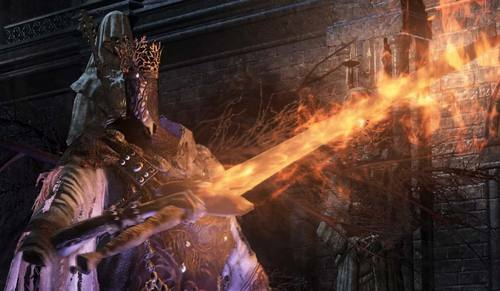 Pontiff Sulyvahn of Irithyll imprisoned a god of the old royalty in the abandoned cathedral, to be fed to the devourer. Bewitched ring that Pontiff Sulyvahn bestowed upon his knights. beasts. No wonder the Pontiff only provides these rings to those dispatched to foreign lands.